Getting Back into the “Rise and Grind” – Pinky and the Prep! I don’t know about anyone else but winter break is over and school is back in session for me. For many people, second semester is a new beginning. But unlike the beginning of the school year, its not filled with new pencils and binders, just new classes. Its easy to get stuck in the “winter blues” and not feeling very motivated to get back to the rise and grind routine we have all fallen out of. I know its hard for me! So here I have composed a list of my top three tips for jumping into second semester with a BANG! I hope you all enjoy! 1) Find an organization routine that works for you and stick to it! 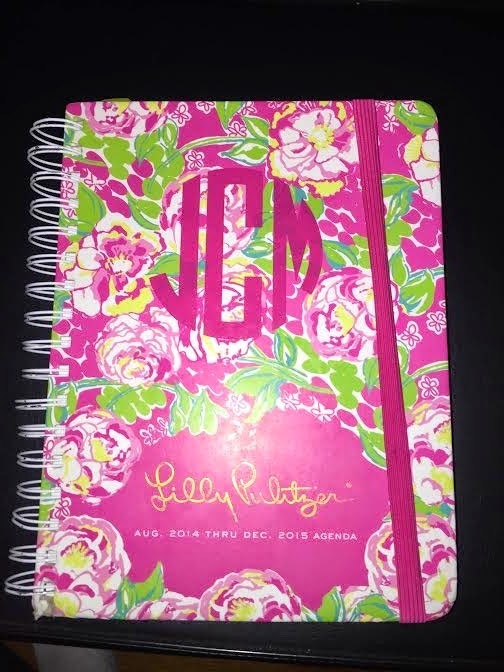 For myself, the Lilly Pulitzer agenda is my holy grail product. I eat, sleep, and plan! 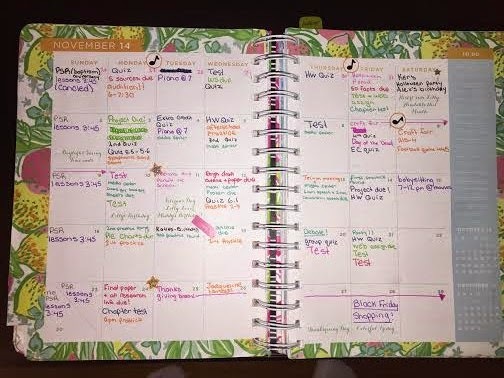 I am able to organize all my school work, after school activities, chores, and just about anything else that is happening in my life in this planner. Below are some picture of how I organize my monthly view and weekly view. And here’s a little sneak peak of what goes on in my personal life! I prefer to use a different color pen for every different section of my life. Each academic class that I am in is assigned a color, which corresponded with the folder and note book that I use for my class. All my extracurricular and out of school activities are also assigned a color. (If you can’t already tell… I carry a lot of different colored pens with me!) I also like to use stickers to make important days stand out to me. The music note stickers are for concerts, auditions, etc.. and the star stickers are for non music related activities like homecoming. I am also a huge believer in making to do lists. As you can see on my weekly view, I write a to do list for whatever needs to get done that week and I put the date on it as a constant reminder of how much time I have to accomplish this task! Now I realize that for a lot of students have very busy schedules including myself. Each of my days are different depending on how much homework I have, or whether or not I have practice that night. All of these things play a huge role in what your routine is going to be. With that being said, I still think it is crucial to establish some sort of guide lines for what you do after school. For myself, I have to get my mind off of school right when I get home. Whether it be for five minutes or half an hour, I have to be thinking about something else. This helps me unwind from the day I just had, and prepare my self for the night ahead. This usual includes some time on Instagram or if I have a little more time indulging in my favorite show, Greys Anatomy! After my small break from reality, its right into homework for me. I usually try to devote 1-2 hours of time for me to complete my assignments and do any needed studying. Obviously there are exceptions to the rule, but I usually try to keep it within that window. Around this time its usually time for dinner, or time to go to practice. And finally, if its not a night where I have practice, I devote some time to practicing by my self. After that is done its time to get ready for bed! I know that may sound like a schedule for a robot, but its a loose outline of my nightly goals. It helps me stay (somewhat) on track! This may seem repetitive because I just talked about how important a planner is, but writing things down is very important. 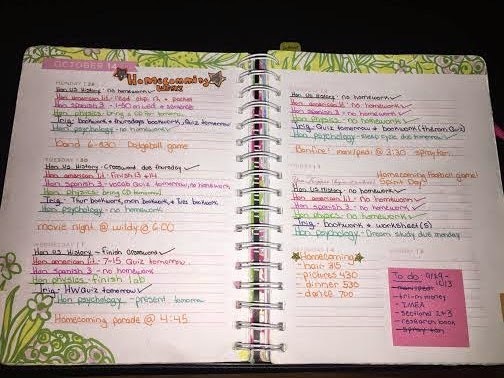 Whether it be in a note book, or on a sticky note, or on the top of an assignment, writing things down can be one of the most beneficial things you can do to keep yourself organized! I don’t know about anyone else but I LOVE sticky notes. It seems that every time I’m in Target I wonder to the office supply aisle and end up buying more and more! Its a problem, I admit that. But in all honestly, writing things down on sticky notes, and sticking them to things keeps me on top of everything! 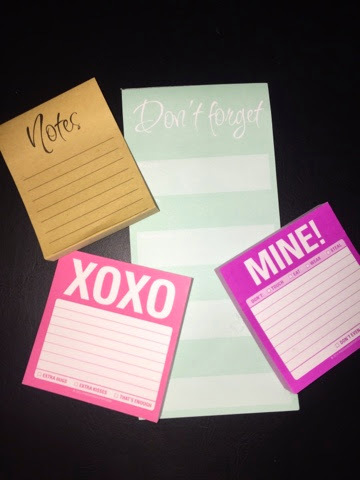 Treat yourself to some cute sticky notes, and I promise you won’t regret it! Above are some of my very favorite sticky notes! All purchased at target for only $1! Note cards are also one of my favorite ways to keep organized. I mainly use them for studying. I don’t know what it is, but there is something about flipping through flash cards that really helps me remember information. 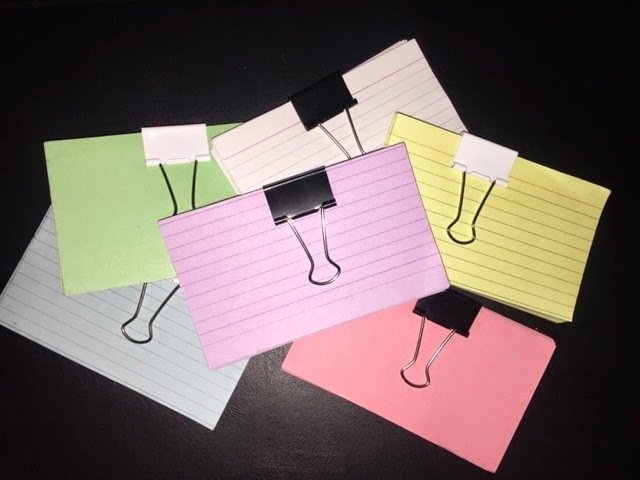 And it also doesn’t hurt to color organize your note cards! I hope you enjoyed my tips and that they helped you in some way! Second semester is tough but there is a light at the end of the tunnel… SUMMER! !